I am starting a new project called Project Sew It and would love for you to join in! Here is the thing, every year my New Years resolution is to sew more for myself. After all I studied fashion design so I could make myself clothes that fit and were just like I wanted. Somewhere along the way I discovered kidswear and sort went off my initial path. For a couple of years now I keep telling myself I am going to sew for myself. I buy fabric and even some patterns meant to be for me. Last year I made a tunic/ dress and the year before a yellow outfit and some Morocco pants. I wouldn't say that was very impressive. I also realize that in order for me to actually do things I need precise goals and deadlines. Also, I figured if I put it in words here on the blog, then you would make me accountable for it or would you? So I pushed the idea even further and decided to start this little project so that YOU would be motivated too and I would have no choice but to follow through. So what does Project Sew It entail? 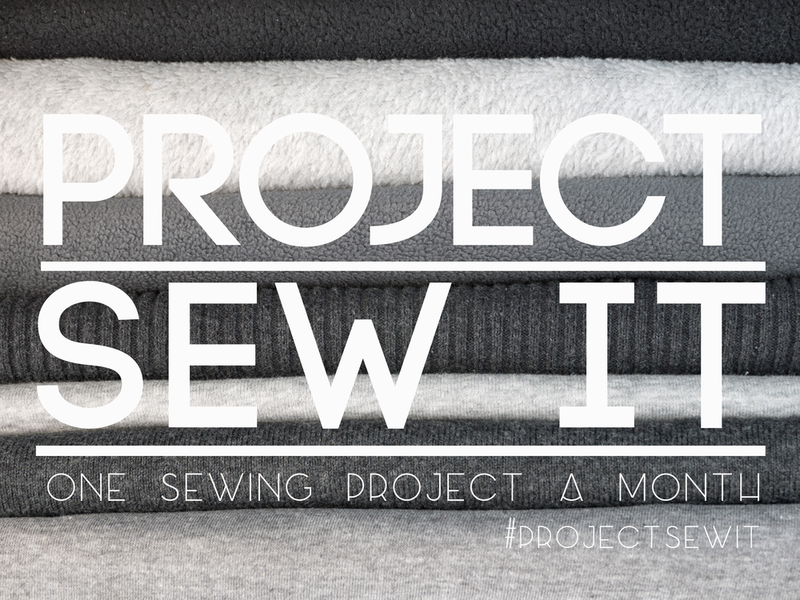 Simple, sew one project a month and share it in the Facebook group or on Instagram with #projectsewit. The first week of every month I'll showcase what I have made and share a few of my favourite projects that you have made. Does this mean I have to sew for myself? NO. It can be any sewing project you like, preferably something you've been dying to do for a while and always put off. You could decided to mend 1 item from the fix it pile you've been growing for years! Perhaps you don't know how to sew and have always wanted to start- now is your chance! Or you've been wanting to try a new skill like embroidery. Do you always sew for your daughter and would like to sew more for your son? If you are sewing something complicated, you bet muslins count as a project! Really there are no rules and you set your own goals. The idea is to have fun and make stuff. Do I need to start in January? NO. You can start whenever you want, but just keep going once you do start! So are you in? I am so excited about this. Who knows maybe by the end of the year I will have more than 12 items of clothing for me! Looking forward to seeing you and your projects in the Facebook Group!